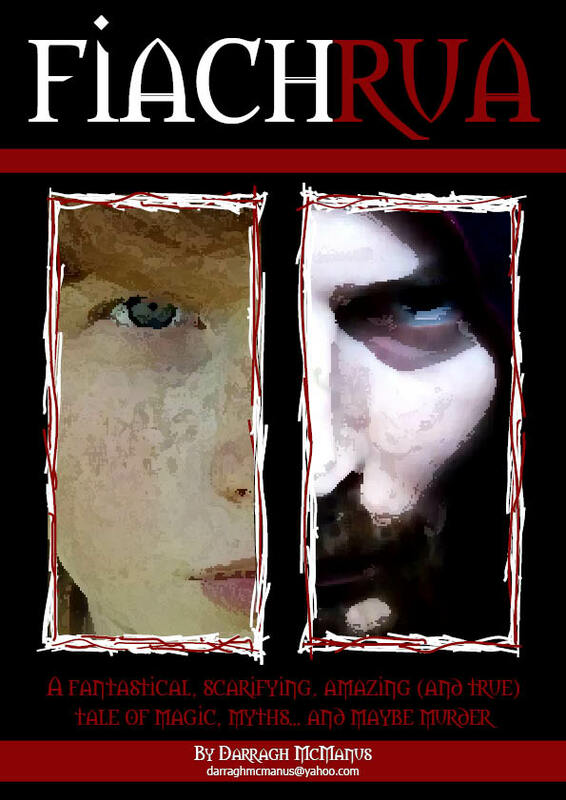 Fiach Rua is a Young Adult novel, best described as urban fantasy, which blends elements of adventure, realism, magic-realism, horror, mythology and pop culture. Aimed at older teens and adults, the book uses actual characters from Irish legend: the villain is the iconic Fionn MacCumhaill. The story is this: Fiachra Barden turns 16 in five days, right at Hallowe’en – but he has no time for a party. A powerful warrior has escaped the realm of dreams and myths, and now threatens to destroy our world completely. Only Fiachra, aided by his friends (the coolest kid in school, a brainy sweetheart and a 3,000-year-old ghost-crow), stands in the way. He must use all his wits and courage, his supernatural abilities and extrasensory powers, to halt the villain’s plans. Otherwise Fiachra, the town of Toomlake, the island of Ireland, the entire universe, will cease to exist. How’s that for a happy birthday? Fiach Rua is clever, funny, exciting and scary. It has moments of thoughtfulness and poetry, but above all is an entertainment. It sets three likeable, smart kids on a quest to save the world, escape with their lives (and for Fiachra, win the love of fair Lasairfhíona)… and of course, make sure their parents don’t find out.